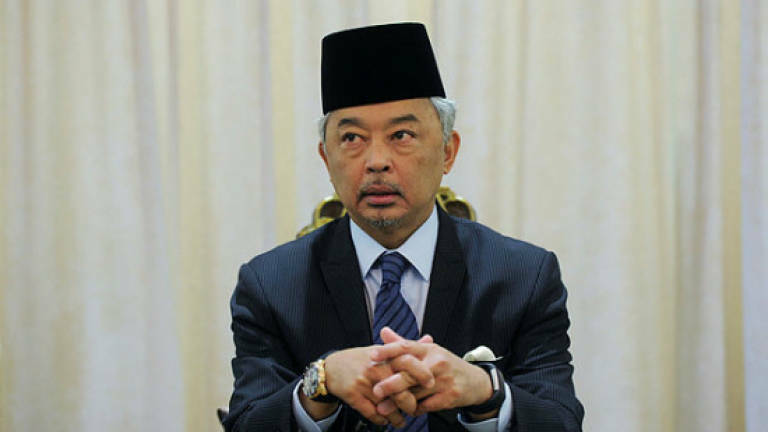 30 Mar 2018 / 21:01 H.
MARAN: The regent of Pahang, Tengku Abdullah Sultan Ahmad Shah, today called for the Syariah Court in the state to be empowered and elevated to be on par with the civil court. He said the matter should be debated at the Pahang State Assembly, because it had been some time since the syariah law in the state was last enhanced. He said the parties involved should start by improving the relevant laws. "If we do not do it now, maybe we will never do it after this ... we should begin first before the details are refined by the administration and the legislature. We will enhance the Syariah law in stages," he said after opening Masjid Jamek As-Sobirin at Felda Kampung New Zealand, here today. Also present were Maran MP Datuk Seri Ismail Abdul Muttalib and Pahang Islamic Da'wah and Special Tasks Committee chairman Datuk Seri Syed Ibrahim Syed Ahmad. Tengku Abdullah said he was aware that the matter may raise concerns among certain quarters and that was why it had to be done properly. "We cannot deny or run away from certain parties who are trying to twist the facts and take advantage of our efforts. "Therefore, before going to the next stage, all information related to this effort should be published for all parties so that they can understand the purpose of its implementation," he said.